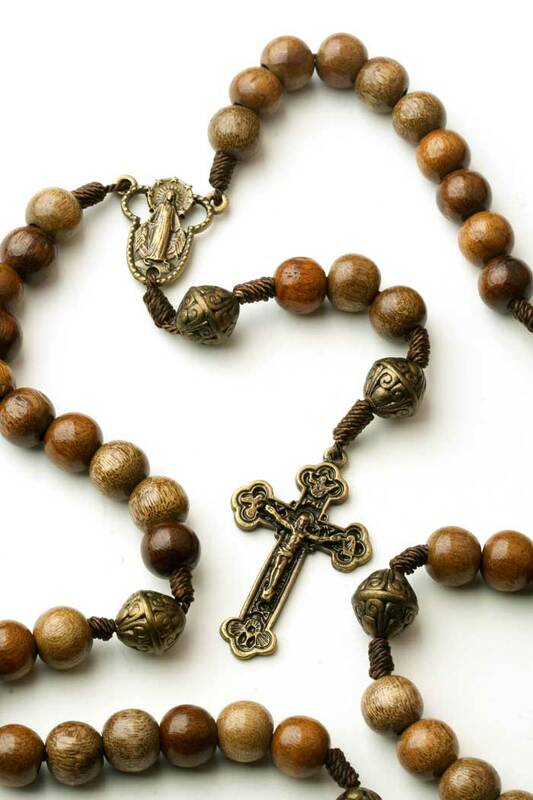 Catholic rosary beads for men and women. 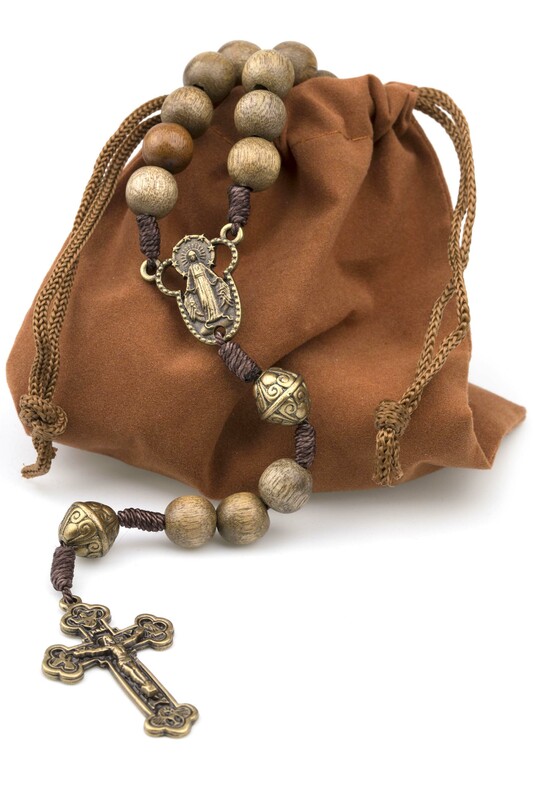 This well crafted wooden rosary comes from Brazil and is made by a Catholic company. 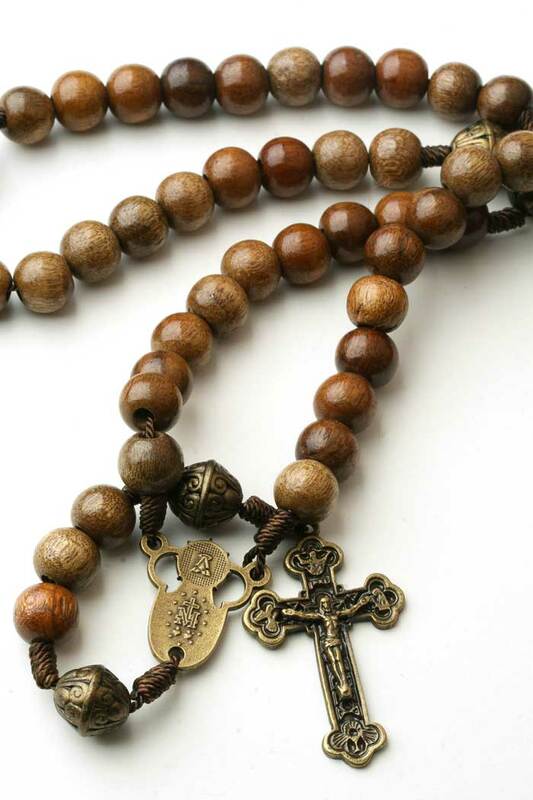 Its solid wood beads easily flow in your hand during a prayer. Spacing between the beads is just right as you go from one Ave bead to the next. The Pater Noster beads are perfectly spaced with some distance to Ave Maria decades. You'll find the length to be perfect, not too long and not too short. Find a centered spiritual self while contemplating the Mysteries of the Rosary. Round and smooth wooden beads are mounted on a strong cord. 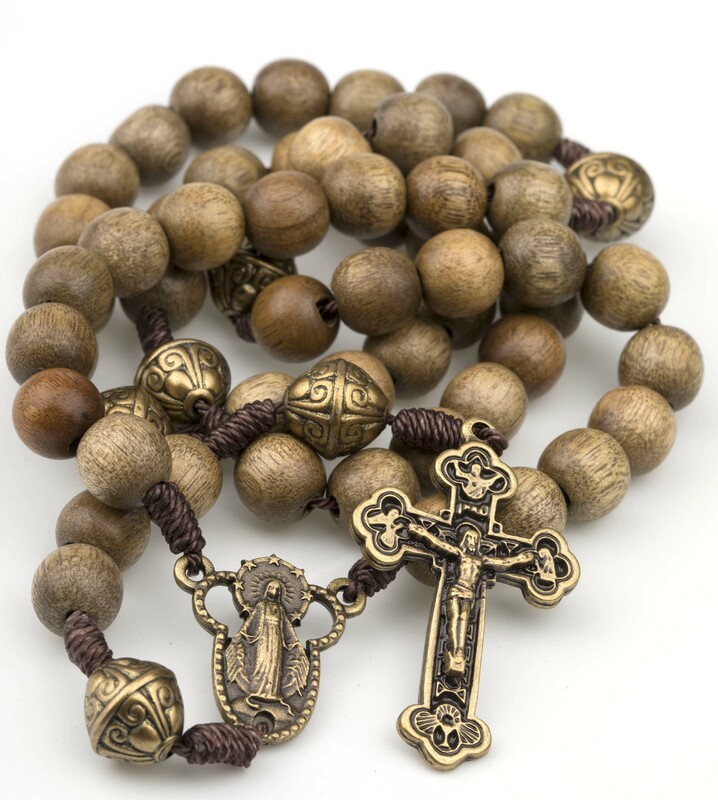 This five decade rosary features large, easy to grasp wood beads each approx. 8mm in diameter. 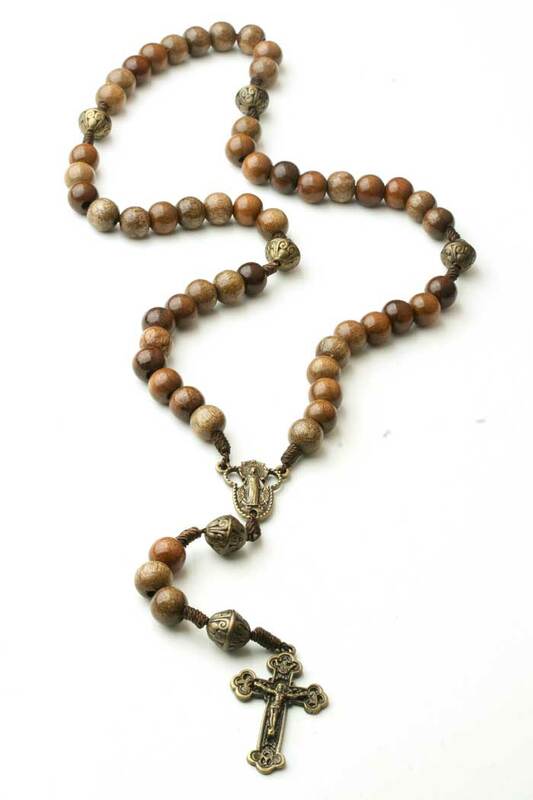 The Pater beads are larger, ornate and are made of metal in antique gold color. The centerpiece and crucifix are both made of metal also in antique gold finish. Length end-to-end 17.5 inches. The budded crucifix measures 1.5 inches. The center feature Miraculous medal. Made in Brazil. 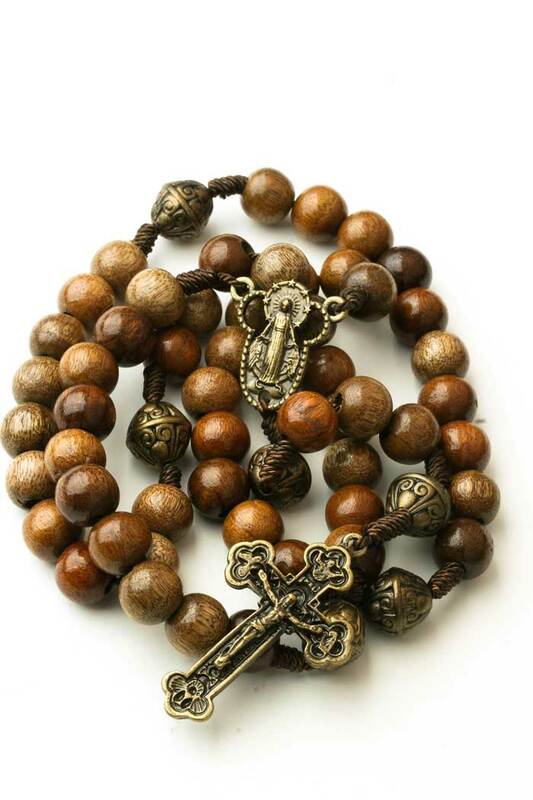 Great durable rosary. 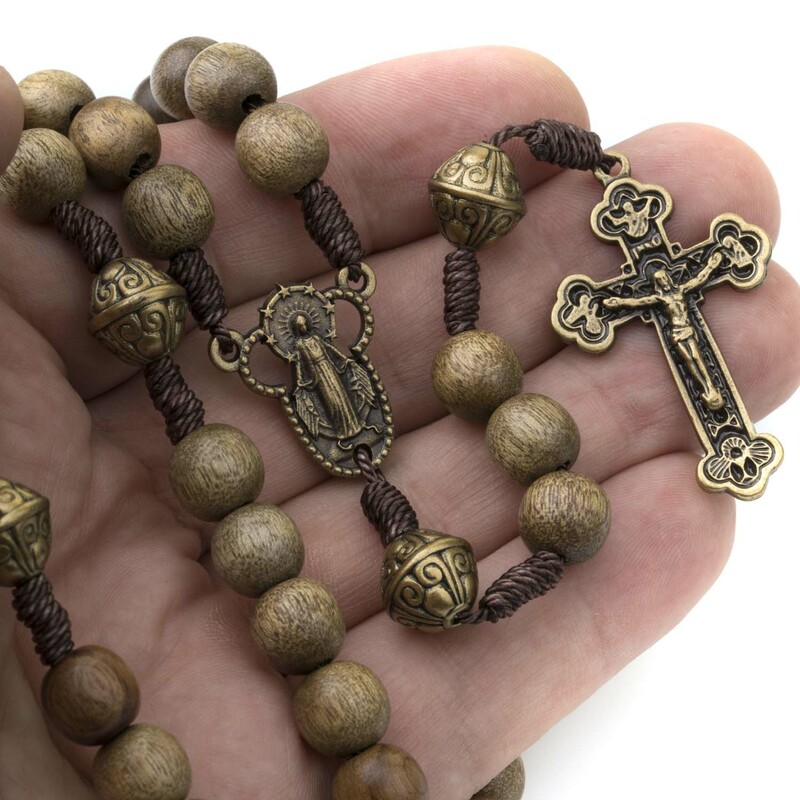 This is a great rosary. Good craftsmanship, perfect bead size for my hands and spacing between the beads is just right as well. Wish it came in a pouch though. Overall, I am very happy with this rosary.